Maple Whiskey Pecan Pound Cake: Dense maple whiskey pound cake filled with pecans, baked in pecan crust, and topped with a maple whiskey glaze. Well this years Canada Day is rather awkward. I mean, with Canada now being listed as a National Security Threat to the United States and all. Freaking War of 1812. To be fair we are a rather intimidating people. We are always saying hi to random strangers and telling them sorry even if something was their fault. At any time we can be walking around with hockey sticks in our hands, or at least in our cars. Though, don’t worry too much about those hockey sticks because no respecting hockey player would want to break his/her stick due to how much they cost nowadays. There is all this land everywhere and it’s pretty and majestic. But that is all a front because the Canadian government is actually training beavers to be Ninja killers in secret locations throughout those majestic landscapes. Canada has just recently approved national pot sales. Which means if you are near a Pizza Hut or a bag of Cheetos things could get ugly. Elitist live in Canada as we have the highest proportion of college graduates. Though you might go too if your college offered The Science of Batman as a course (yep, that’s a real thing). Pennies do not exist and that is suspect. We’re sneaky. We have somehow convinced people to pay a lot of money to sleep in ice. Often we are trying to kill people with our food. I mean gravy on French fries…with cheese curds on top. Or how about that we eat the most donuts of any nation? Sure, it’s a slow death…but clearly it’s a threat. Free health care is only offered so the government can implant electronic chips in your head so that when someone says the word “eh” Canadians are trained to kill Americans with their skate blades. Our beer is stronger AND we allow 18/19 year olds (depending on Province) to drink that beer. Instead of in the states where they have to pretend for another 3/4 years that they don’t drink. For no apparent reason we add the letter U in a lot of our words just to mess with your mind. Ketchup is everywhere. This is not because we like it so much but it’s the same color as blood. So when we kill all the Americans we can say hey that’s not blood, it’s ketchup. Yes, clearly as I have laid out….Canada must be stopped. But until we are stopped we will be trying to poison the world with quality maple syrup. 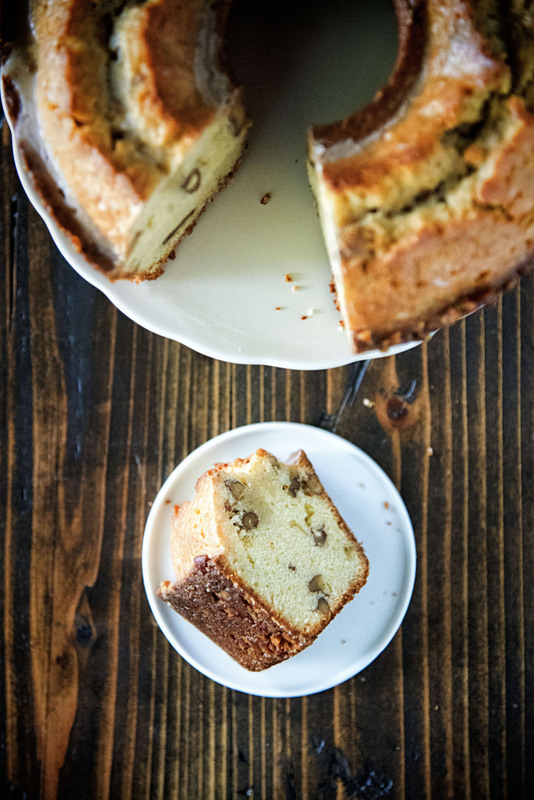 So to honour (freaking U’s) Canada Day I made this Maple Whiskey Pecan Pound Cake. 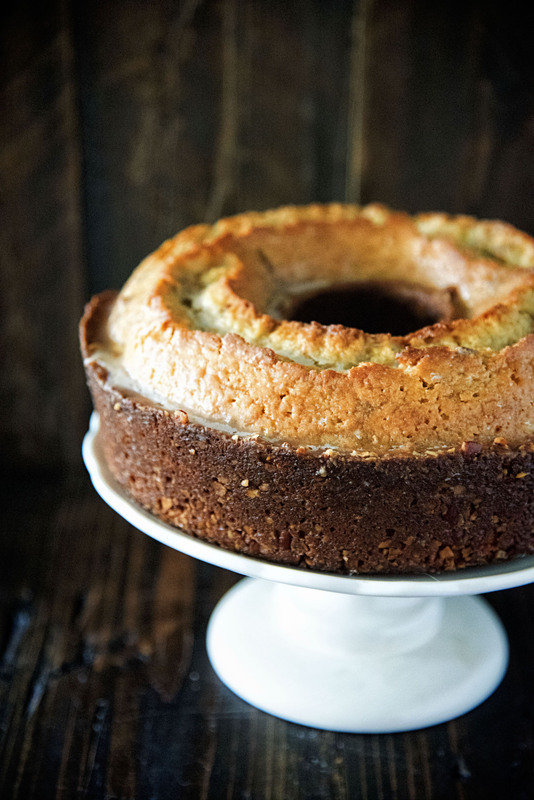 The ground pecans on the sides and bottom of this cake add such a wonderful crunch. And when you add the glaze…oh my. So for those celebrating have a great Canada Day. Maybe next year we will be downgraded to just annoying neighbor to the North. Grease a 10 inch tube pan or 10-to 12-cup Bundt pan with butter. Coarsely grind ¼ cup of the pecans in a food processor fitted with a metal blade. Coarsely chop the remaining 1 cup of pecans. Sprinkle the greased pan with the ground pecans and shake until the pan is lightly coated with nuts. Hold the pan upside down, invert over the sink and tap lightly to discard any excess nuts. Using a mixer fitted with a paddle attachment, beat the butter on medium-high speed about 3 minutes, until fluffy. With a rubber spatula, scrape down any butter clinging to the sides or bottom of the mixing bowl. Add the sugar and maple syrup and beat on medium-high speed about 2 minutes, until incorporated. Scrape down the bowl with the spatula. Add the eggs, one at a time, and continue to beat on medium-high speed 1 to 2 minutes, until the mixture is fluffy and light yellow in color. In a medium bowl combine the flour, baking powder and salt. Add one-third of the flour mixture to the batter and mix on low speed until the flour is no longer visible. Add half of the sour cream and mix on low speed until it is combined. Continue to add the flour and buttermilk alternately, ending with the last third of the flour. Stir in the vanilla, whiskey, and 1 cup coarsely chopped pecans. Spoon the batter evenly into the pan and bake about 1 hour and 20 minutes, until it springs back when touched lightly (if the top starts to brown too quickly, cover it loosely with a sheet of aluminum foil). Let the cake cool at least 15 minutes before removing it from the pan. Invert it onto a cooling rack, and then invert it again back into the pan and then from the pan onto a cake plate when cool. I kept my cake upside down. I liked the crackled top. As the cake cools, make the glaze. Stir the butter, water, sugar, maple syrup, and whiskey in a small saucepan over medium heat until melted and combined. Boil the mixture about 1 minute. Transfer the cake to a serving plate and gently pierce the cake many times with a toothpick; or, if you want the glaze to penetrate more deeply, use a wooden skewer. Let the cake cool at least 1 hour before serving. The glazed cake can be frozen up to 3 weeks if well wrapped in a layer of plastic wrap and a layer of foil. Happy Canada Day weekend from Ottawa! 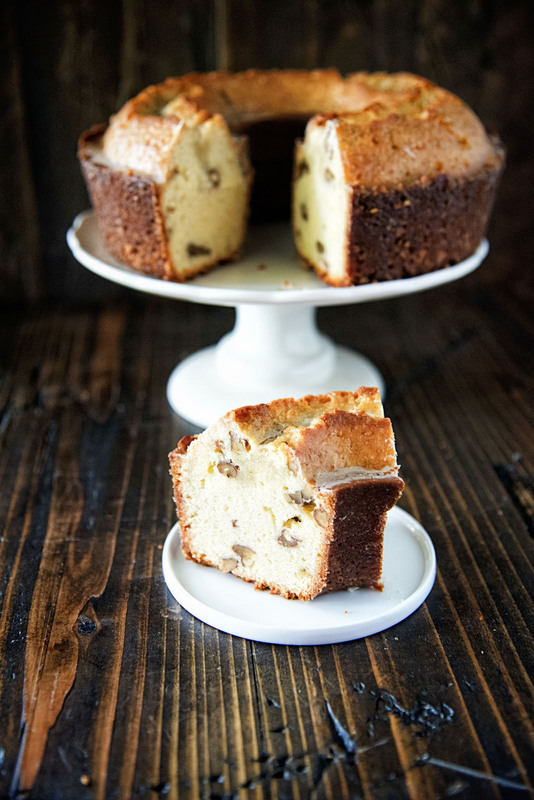 I just love your post today and this cake is a definite must try. It’s actually scarier for a Canadian to decide to travel to the U.S. these days. Happy Canada Day to you Irene! Oh, I am quite sure anyone coming to the US should be on red alert. We have lost our minds.